Nielsen Ratings reports that 44 percent of mobile subscribers in the US use smart phone technology. Of those, 71 percent own either an Android or iPhone device. Moreover, for the first time ever, mobile app usage in the US has surpassed desktop and mobile web consumption. Consumers are spending more time within mobile apps than ever before – nearly 2,555 minutes more per year. This is a clear statement to all dealers to get in the game. Be active. Stay connected to your customers. Be mobile. Why will consumers use dealer branded apps? Consumer trends show us that businesses continue to compete for consumer mindshare and ultimately, space on their smart phone. In fact, iPhone users download an average of 40 new apps each year, Android users download 25 and Blackberry users download 14 annually, respectively. 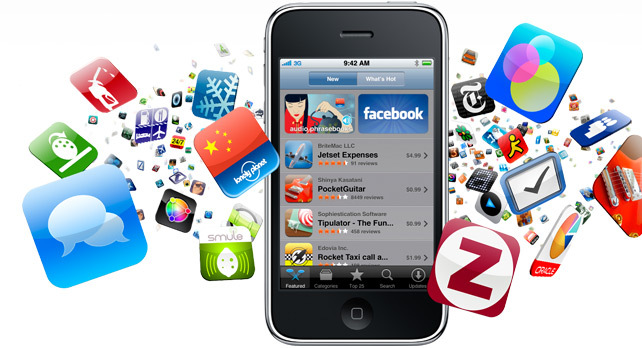 The top downloaded apps across all operating systems include: Facebook, Pandora, the Weather Channel, and Google maps. This is not surprising since consumers are interested in not only downloading but spending time in applications that are user-friendly and help make their life easier. What dealers should look for when deploying a consumer app? If mobile is important and consumers are actively using mobile apps, then it is clearly a necessity for each dealer to consider the best way to deploy this technology within their dealership. Recent industry examples have helped to define what dealers should look for in a consumer mobile app. Ultimately, dealers should select a provider that can offer both convenient and on-demand channels of communication for their customers. Dealers should select a mobile app that includes not only a smart phone vehicle information application, but a two-way communication channel between dealer and consumer. Today, relevant consumer mobile apps involve making information that used to be stuffed into the glove box available at a consumer’s fingertips. This information includes: general vehicle information, vehicle operations, maintenance and even warranty details. Connecting to real-time smart phone critical functionality, such as Google Maps, camera or QR scanners, help make the application necessary for daily use. More advanced mobile apps include the ability to calculate loan payments, schedule maintenance appointments and evaluate vehicle trade-in values. For dealers this is a win-win. Imagine the ability to not only maintain real estate on a consumer’s mobile device but also track that usage. This will provide the ability to know if a consumer is shopping for a new vehicle. The time is now to start investigating how consumer mobile app technology fits into your marketing strategy and customer lifecycle management process. What do you think – are dealer branded consumer apps a necessity or a nuisance? Dealer branded mobile apps are useful for customer retention and loyalty. Therefore, the apps need to be more focused toward service. I don’t see many potential customers downloading apps for multiple dealerships and using them for engagement prior to a sale. However, I do see these same potential customers using Cars and Autotrader’s mobile app because they provide multiple dealership access. You point to that fact that consumers are indeed downloading apps onto their smart phones but the examples you give (facebook, weather, pandora) are not convincing me they’ll engage with a dealership by downloading their dealer app. Your above mentioned apps are obviously very much different than what a dealership app would be likely to offer. Facebook, Weather and Pandora are part of daily life for many. We’ve had this discussion several time here on DealerRefresh and each time it makes for a good one. I believe the question “are dealer branded consumer apps a necessity or a nuisance?” still remains to have a definite answer. Mobile Sites within Apps. Where you have a “homebase” app that give it’s own user experience while offering access to additional information hosted on their mobile websites. This set up can offer the best of both worlds while utilizing the best of mobile applications and the best experience that a mobile website has to offer while also being more cost efficient. @jisaac1 expresses, service retention is where a dealer app could really come into play and allow a dealer to gain its best results with a dealer branded application. However, there still needs to be a focus on the sales side as well. Afterall, without the selling of vehicles, the service department has less cars to work on. @dealerrefresh I believe the sales side would need to be a web app not a native app, because potential customers are not interested in downloading multiple dealership apps while shopping for a vehicle. They would prefer to use an app the operates with a browser or 1 native app to shop for a vehicle. Any native apps will have to be provided by a 3rd party sources that gathers various dealership information, therefore dealerships still have a need for dependency upon 3rd party sources. Whether a dealer branded app is – Necessity or a Nuisance can be answer like this, web app is necessity, native app nuisance. @Ruth Littmann Ashkenazi this is a good article. Always a lively debate around this topic. As much I love apps, it’s stil very difficult for a traditional dealership to create a lot of traction with a branded app. I’m not saying it can’t happen – just hard to do with transferring the existing website experience into an app. I believe real the opportunity lies within a tablet app which creates a shopping experience unlike anything seen before. I see it being a mashup of the website experience, the blogging experience and even the social experience. Shop, compare, research, interact, make appointments, leave comments/reviews, be entertained, check-in, share photos, etc. – everything customers are already doing in a fragmented way, now just all in one spot. Creating a community around the brand & the experience is the best shot at making something like this work. I believe the real opportunity lies within a tablet app which creates a shopping experience unlike anything seen before. I see it being a mashup of the website experience, the blogging experience and even the social experience. Shop, compare, research, interact, make appointments, leave comments/reviews, be entertained, check-in, share photos, etc. – everything customers are already doing in a fragmented way, now just all in one spot. Creating a community around the brand & the experience is the best shot at making something like this work. Dealerships that embrace a mobile application today will reap the same benefits that dealers enjoyed when they embraced email marketing over a decade ago. Emiltsch makes some good points but the main purpose of a mobile application is to build a relationship with the end user. A mobile application should be the “digital clove box”. Meaning it should contain tools that enhance the car purchase experience from the dealer.